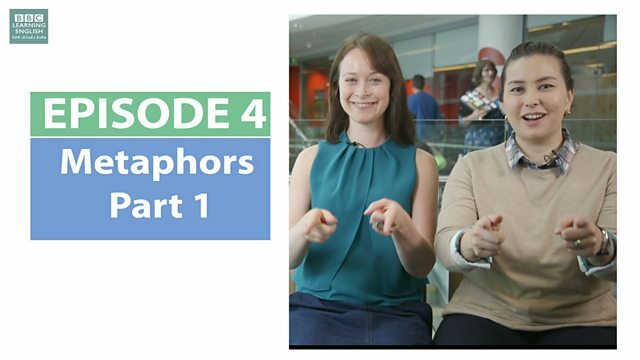 Today's question from Thailand is about metaphors - join Sian and Clare to learn four common English metaphors on the theme of seeing as understanding. "Mai is quite upset today so you need to be careful when you talk to her "
I understand the meaning of the situation - I don't need any more explanation. You don't need to say anything else. I get the picture. Open your eyes - they aren't your real friends! My favourite glass has been broken - can you shed some light on what happened? Can you answer these questions to see how well you can use these metaphors! You need a phrase which means: 'realise the truth about something'. Don't send any money to this guy - you've never even met him! ______ ! It's a scam. This phrase needs a preposition. Can you ______ this text message I just received. I don't understand what's going on! This person understands the situation without needing any further explanation. It's OK, ______ You don't want to be with me anymore. You don't need to keep finding excuses not to see me!